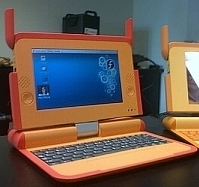 Did you think that the One Laptop Per Child would sell laptops at the fanciful 100 dollars a pop? Might you not add that 1,000,000 multiplier, the minimum unit order, to get a $100 million total for a million laptops? Did you know the price is now $140 per, give or take? The total costs then is the sum of the direct costs ($140), the maintenance costs ($35), the use costs ($25, say): $200. Let’s say that India buys only 2 million of those cute green machines. The cost: $400,000,000. Now as any good economist will tell you, there is a whole other cost we're not talking about here. Opportunity cost. What might that be? That's the cost of not spending the $400 million on Chinese manufacturing, middle-man distribution, and local maintenance. Attention and funds need to be directed to those issues first before one starts buying laptops by the millions. Fact is that we need basic education (literacy, numeracy, etc) and secondary education. These have been provided very successfully without computers around the world. And that's exactly why India passed on the OLPC. In his rejection, Education Ministry Secretary Sudeep Banerjee asked for the funds to be spent on universal secondary education. Its only too bad that shiny, flashy, orange is more exciting to the public and the politicians than the time and labor intensive yet highly successful if invested in, existing public school system.